This timely collaboration by three prominent scholars of media-based performance presents a new model for understanding and analyzing theater and performance created and experienced where time-based, live events, and mediated technologies converge–particularly those works conceived and performed explicitly within the context of contemporary digital culture. Performance and Media introduces readers to the complexity of new media-based performances and how best to understand and contextualize the work. Each author presents a different model for how best to approach this work, while inviting readers to develop their own critical frameworks, i.e., taxonomies, to analyze both past and emerging performances. Performance and Media capitalizes on the advantages of digital media and online collaborations, while simultaneously creating a responsive and integrated resource for research, scholarship, and teaching. 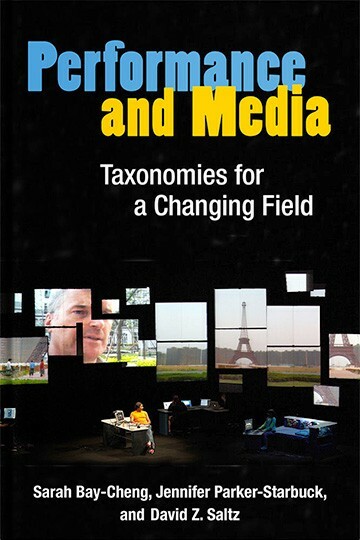 Unlike other monographs or edited collections, this book presents the concept of multiple taxonomies as a model for criticism in a dynamic and rapidly changing field.